My oldest son started first grade last week and I didn’t realize how excited I was to pack a lunch box for him each day. It seriously has been a fun thing for me. Now you might want to ask me how much I love it in a few months, but for now it’s something fun and new and we have both been enjoying coming up with combinations of healthy food. 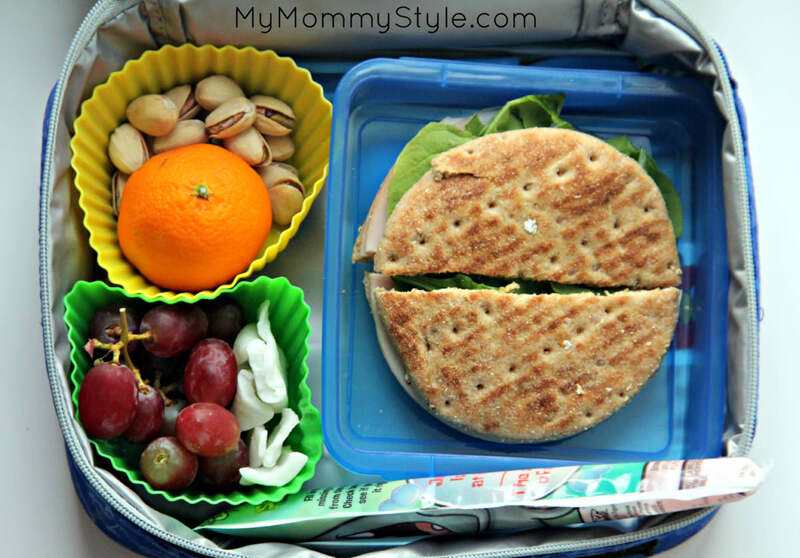 I am blessed to have kids who love fresh fruits and veggies and will eat (or at least try) everything in front of them so these lunch box ideas might not suit everyone, but I hope you can find some inspiration for something. Also, I am all about QUICK, healthy, colorful meals. I don’t spend time shaping his sandwiches into favorite characters or using cookie cutters to make his food into shapes, not that that’s bad because I think it’s awesome and fun, I just don’t have time for that every day. I’m all about quick. Here’s his lunch for the first 6 days of school. 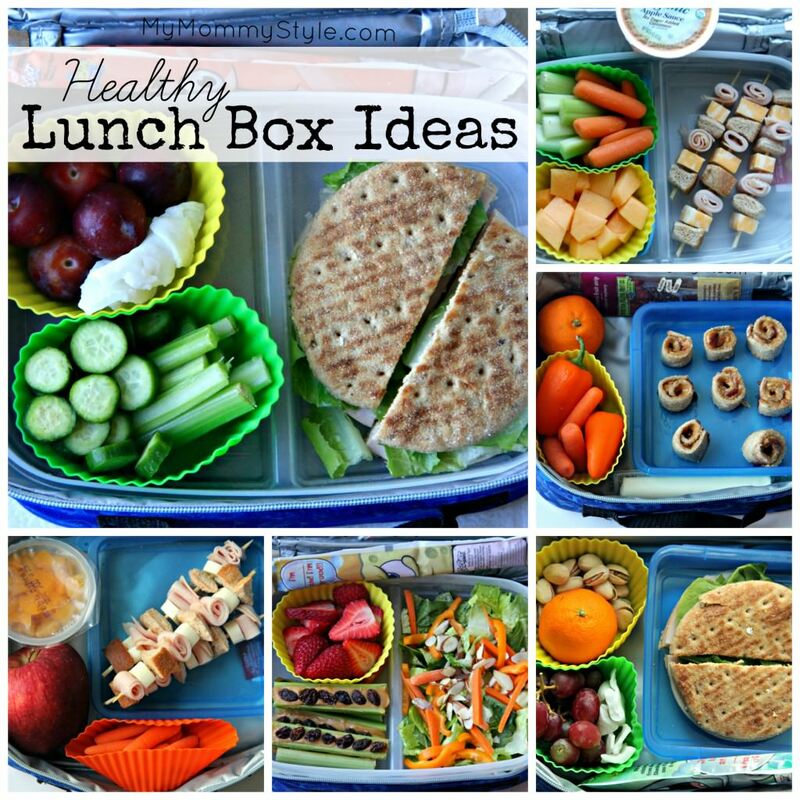 I’ll probably add a few more posts of lunch box ideas as I make more. Day 1: Turkey, cheese, and spinach sandwich on multi-grain rounds from Costco (these are awesome because they are the same shape as the deli meat and cheese so it makes them a little easier to handle for little kids), mandarin, grapes, pistachios, gogurt, and a few coconut pieces for a sweet treat. 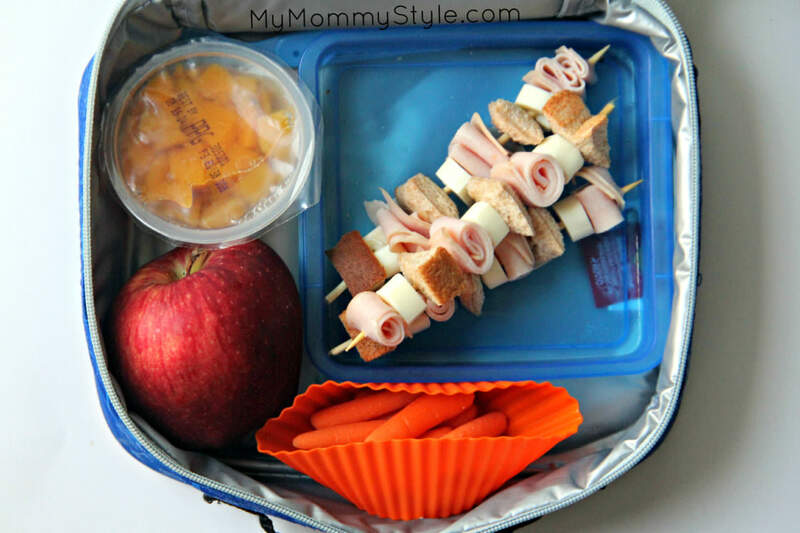 Day 2: Sandwich kabobs (these were his favorite, you’ll notice he has them twice in one week), fruit cup, apple, and carrots. Day 3: Peanut butter and jelly sushi (another favorite), mandarin, carrots, mini bell peppers, string cheese, and a fruit leather for a sweet treat. To make the sushi cut the crusts of a piece of bread and roll it out flat with a rolling pin or drinking glass. Add some peanut butter and jelly and roll (don’t roll too tight or you will squish jelly everywhere….believe me.) Cut the roll into four pieces. Day 4: romaine salad with carrots, bell pepper, and almonds (yes, I’m the mean mom that sends my son with a salad…he ate the whole thing though), sliced strawberries, gogurt, and ants on a log (peanut butter on celery with raisins on top). Day 6: Turkey sandwich, celery, sliced mini cucumbers, awesome plums from our tree (they are so tiny we’ve nick named them grape plums), gogurt, and coconut. Now give me some of your ideas. What do your kids like in their lunches?